Zoho Desk Pricing | Plans start at $0! 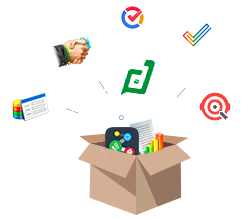 Expand Zoho Desk into a powerful and unified customer experience platform. It sure is. You get 3 free agents in the free plan for which you'd have to pay nothing out of your pocket. We won't even ask for a credit card. Let's put it this way - if you're stuck with email support, we are here to make your life better. Jump right in and create your Zoho Desk account today, to activate a 15-day free trial for whichever plan you want to take for a spin. Customize, configure and explore all the powerful features of Zoho Desk without ever providing a credit card. We accept payment via Visa, MasterCard, American Express and PayPal. We also accept payments via bank transfer or check transfer for yearly subscriptions. Can I change plans during my trial? Yes, we encourage you to change plans to discover the absolute best fit for your organization. Click the Trial Other Editions link to switch from your curent plan during the trial period. If you are not satisfied with our product or service, cancel your subscription at any time and we will refund your purchase amount in full. After your trial expires you will need to purchase a monthly/yearly subscription. Your trial account will become your permanent account with all of your data and customization remaining snuggly intact. Yes, we support 9 languages viz., English (USA), Chinese, Japanese, Spanish, French, German, Turkish, Russian and Portuguese (Brazil). Yes, we offer a discount on up-front annual commitments. Our annual prices on this page reflect this discount. We also have a special pricing if you're a non-profit or an educational institution.